Yuka Kashihara uses oil paint applied in a thinly diffuse manner similar to that of Japanese nihonga painting, and by applying it in numerous layers she is able to create a unique depth of color. Within the world of her artworks, scenes from both reality and the spaces of the internal imagination are gently interwoven. Against this backdrop, having left Japan and moved to Germany where she continued developing her practice, Kashihara acquired an interest in the ‘distance’ between the internal and the external. This included the physical distance between Japan and Germany; and further, the distance herself as a Japanese person and herself while in Germany. This becomes expressed symbolically as an introspective speculation in the forms of the motifs of caves, holes, mountains and lakes which she repeatedly takes up within her work, and through this process of sublimation it is as though the original energies which lie dormant within the great Earth have become awakened. Yuka Kashihara was born in 1980 in Hiroshima Prefecture. In 2006 she graduated from the Japanese Painting Department of Musashino Art University. In the same year she moved to Germany, and in 2013 she acquired a Diploma from the Academy of Visual Arts in Leipzig. In 2015, she was named a Meisterschüler (Masters graduate) of the same academy, studying under Professor Annette Schröter. 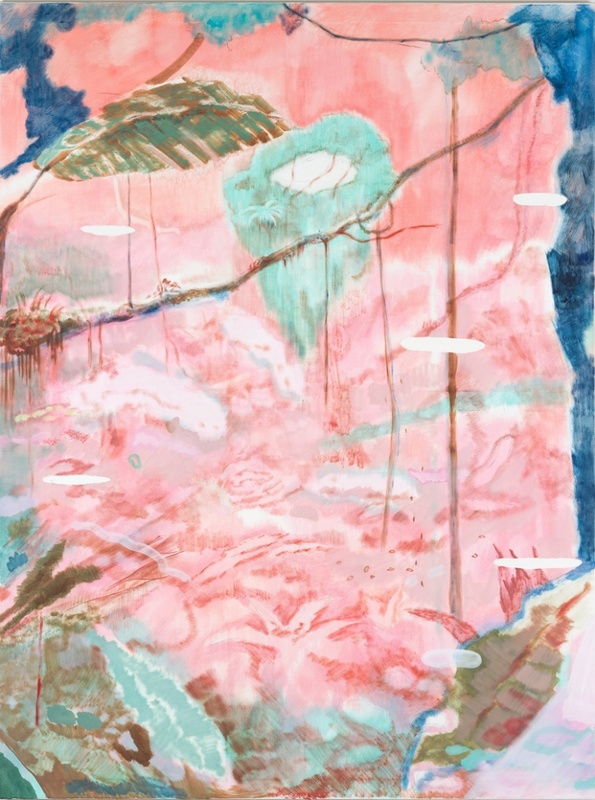 In 2008 she exhibited at the Bauhuas Dessau Foundation in Shakkei (“borrowed scenery”), a solo show curated by research scholar Torsten Blume of the same Foundation, and in 2012 she exhibited in VOCA, Tokyo, where she received both the Honourable Mention Award and the Ohara Museum of Art Award. solo exhibition "First Island - Last Mountain"
group exhibition "Yuka Kashihara, Hideaki Kawashima, Makiko Kudo, Toru Kuwakubo, Masahiko Kuwahara, Atsushi Fukui"